President Obama Meets With Young African Leaders At The White House : The Two-Way At the White House, the president spoke with young leaders from Africa, telling them that it is important for older leaders to listen to younger ones, because it's easy for them to get into old habits. President Obama, marking the fiftieth anniversary of African independence, met with 115 young leaders from 46 sub-Saharan African nations at the White House today. "We are rooting for your successes," Obama said. "And we want to work with you to achieve that success. But ultimately, success is going to be in your hands." He offered the young leaders his views on HIV, corruption, and economic development. Obama said Africa is the youngest continent, noting that, in some countries, half of the population is under 30, adding that, because sometimes old leaders get into old habits, it is important to talk to young people. 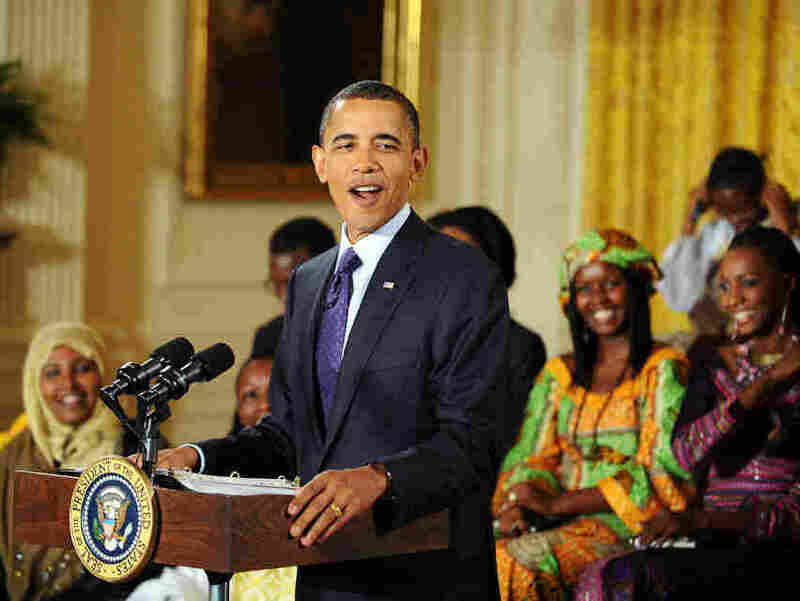 According to the State Department, which co-hosted the conference, "The President's Forum with Young African Leaders presents the U.S. Government and American friends of Africa with an opportunity to deepen and broaden our understanding of the trajectories of African societies, and to reflect on how the next generation are building their communities' and their nations' futures." In addition to the town hall meeting with the President, the forum will include small-group discussions on topics such as transparency and accountability, job creation and entrepreneurship, rights advocacy, and the use of technology to empower individuals and communities.